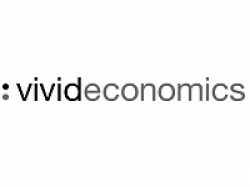 Vivid Economics is a leading strategic economics consultancy with global reach providing services in the policy-commerce interface and resource- and environment-intensive sectors, where we advise on the most critical and complex policy and commercial questions facing clients around the world. We have more than 20 professional economists working in our London and New York offices and can draw on a wide network of trusted expert partners, including leading academics and in-country advisors. Our assignments have given us a broad and deep appreciation of policy and commercial issues in Europe, North America and the Asia-Pacific.